How to Build The Ultimate Pocket Survival Fishing Kit. I know you have looked at buying a pocket fishing kit and been disappointed at what’s available for sale. Do you know how I know? Simple! You are on this page; that’s how I know. Sure, there are lots of fancy shiny little pocket fishing kits out there but did a real survivalist put them together? I don’t think so! The truth is, there are a lot of products on the market that were assembled by people that don’t have the experience necessary to put a survival kit together. As a survivalist that has actually lived off what I carried on my back, I know what you need to really survive in the woods. No bells and whistles included. Here are the basic contents of a pocket fishing kit that I carry with me everywhere I go. I have gone through a LOT of boxes over the years trying to find a good little pocket size box to make my pocket fishing kit. I finally found one year ago in the travel section at walmart. But then it disappeared from the shelves and I could not find it anymore. But thanks to the internet, I have found it again. Here is it. 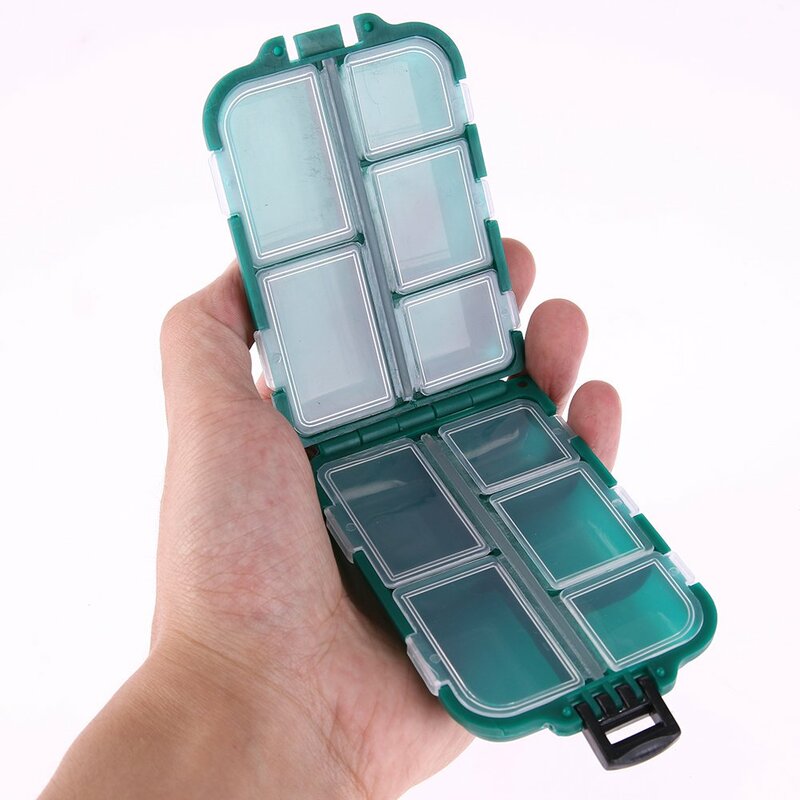 The reason I like this box so much for my pocket survival fishing kit is because of its size, shape the individual compartments and lids. 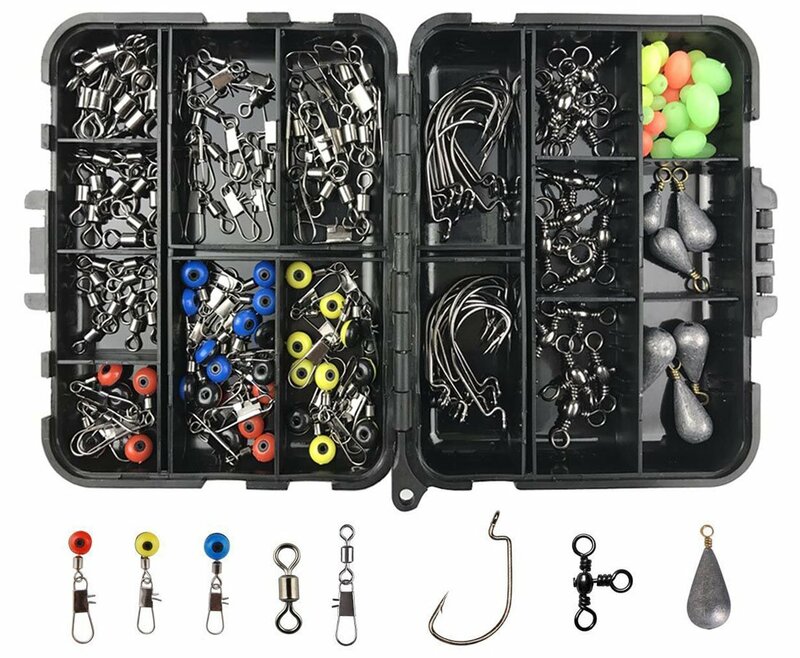 Most mini tackle boxes have only a single lid that covers all the compartments, and you know what happens with small hooks in those boxes don’t? Sure you do. Things tend to “Leak” over into the other compartments and get messed up. Also, a lot of the mini tackle boxes you buy in the fishing department are made out of hard plastics and tend to crack and break. That is not to mention the latch system that is which is unreliable. 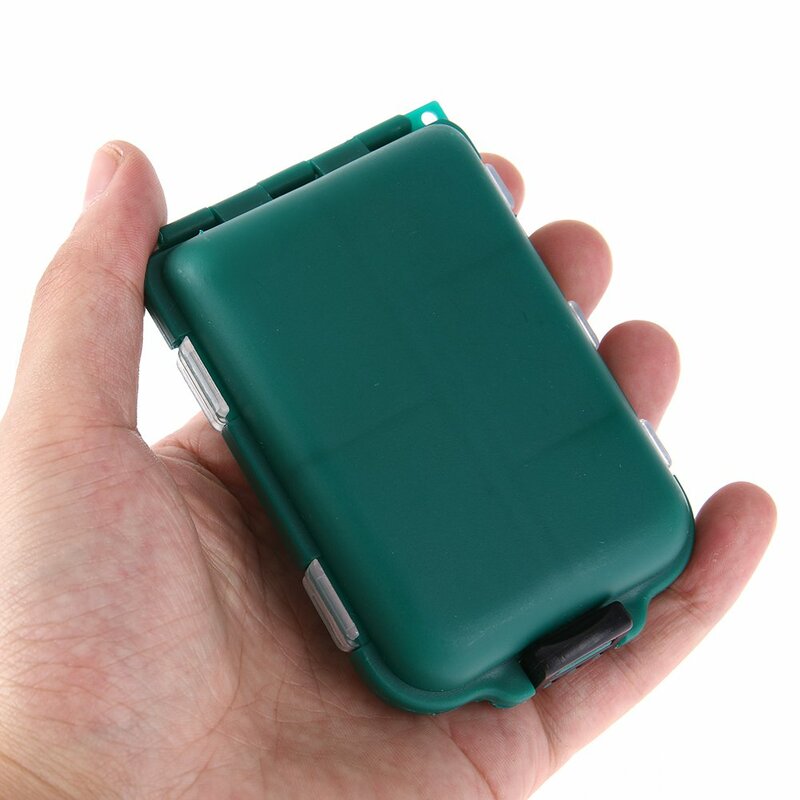 This little box is made of a hard box flexible plastic that is impact resistant, has a nice hinged latch system and nice non-sharp, rounded corners so it does not dig into you when in your pocket. So with this box as our starting point. Let’s dive right into what I keep in mine. Let’s get real here. There is only so much space in a pocket fishing kit. You can’t keep everything you want in it. You need to keep practical things in it. I just did a search on amazon.com for “Pocket Fishing Kit” and found these offerings. Do you see anything wrong with this set? I do. It has ELEVEN types of swivels. Do swivels catch fish? Nope! Don’t get me wrong, swivels are great, but at the end of the day, they are a luxury, not a necessity. You don’t waste 70% of your box capacity on them. 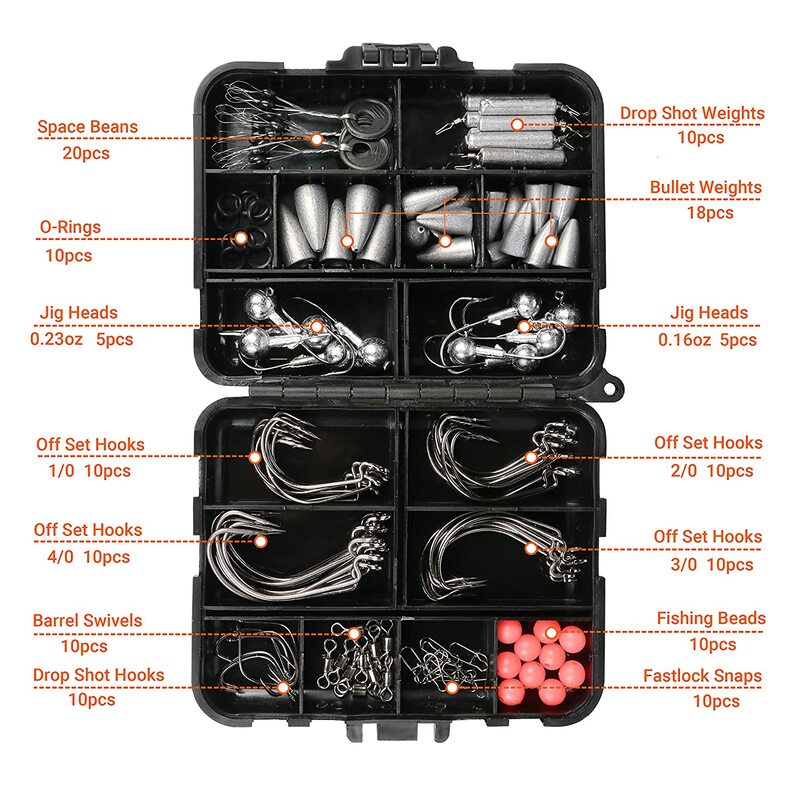 This is just an example of the problems you will find with most pre-assembled mini tackle boxes you find on the market today, and why it is better to build your own. Now to be fair, I did find one offering on amazon.com that is not that bad of a setup. It is a lot more balanced than the above kit, but still misses the main mark of a survival pocket tackle box. The above kit has a lot of the components that are in my own kit, but again, there are several things about this box that make no sense are what I classify as “Luxuries” that take critical space. Mainly the Space Beans, the O-Rings, and the Fastlock Snaps. But another thing that is not quite as obvious is the Size of the hooks. The smallest hook in the box is a size 1/0 and any real survivalist knows that when it comes to survival, Go Small. There are a lot more SMALL fish than there are big fish. Going after larger fish is fine, but you will be a lot more successful on a daily basis going after small fish that will keep you strong until you catch the larger fish. So while the above RUNCL Fishing Kit bad, it wastes space and has the wrong size hooks. But I do like the look of the box it comes in (it does have individual compartment covers that are not shown in this photo. Click Here to see a picture that shows them). When choosing hooks for your kit, it is always important to remember the rule; “You CAN catch large fish on small hooks, but you can’t catch small fish on large hooks”. So, without further ado, here is what I recommend you keep in your Ultimate Pocket Fishing Kit. HOOKS ARE THE MOST IMPORTANT. 50 size 12 baitholder hooks. 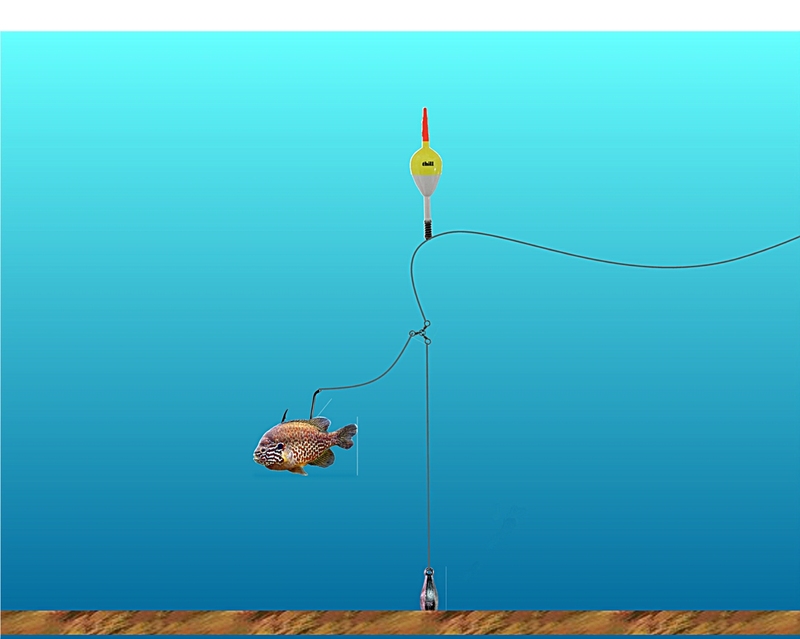 These are to catch bait fish with which will enable you to catch larger fish. 50 size 6 baitholder hooks. For small to medium fish. 25 size 1 baitholder hooks. For medium to medium-large fish. 25 size 2/0 Octopus hooks. For large fish. Panther Martin Original Black/Gold 1/4oz. (2) Probably the most versatile effect lure one earth. 1/8oz Jig Heads (chartreuse and hot pink are my favorites, but any color is fine). If you have space you can add more items to your liking but these are the bare minimum that you should have in your pocket fishing kit. 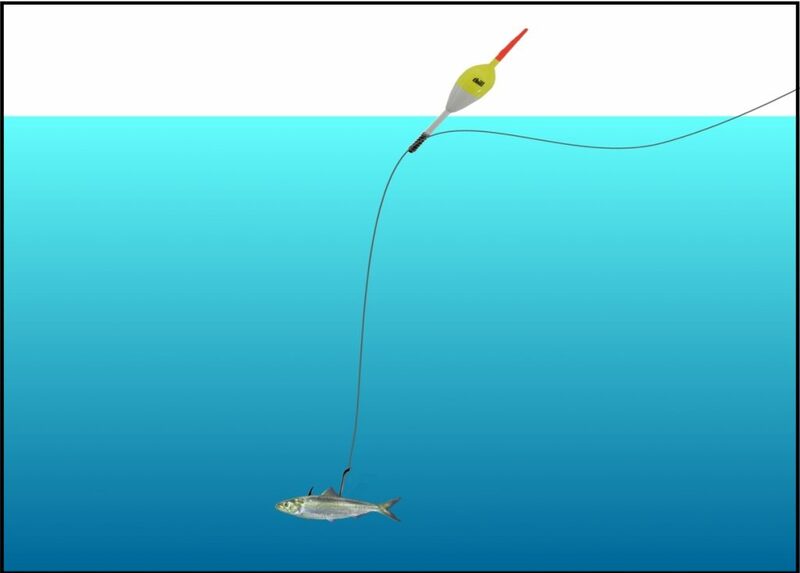 One of the most effective fish rigs I have used is the slips sinker rig. 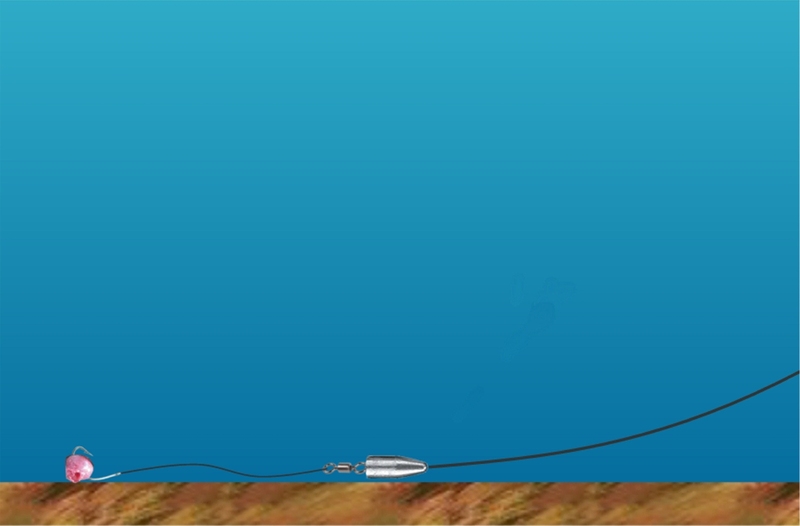 Here is an example of what this rig looks like. Great for Channel Catfsih and any other bottom feeder. Can Catch bass if used with live bait. A good bobber like the Eagle Claw Balsa Style Oval is very useful and can allow you to make these very useful rigs. Great for crappie, Bass, and Blue Catfish. As far as line goes, you can either carry a short piece inside the kit or a roll separate from the kit. For best results I recommend two types of line; 30lb Braided line and 8lb test Mono. Here are some examples.